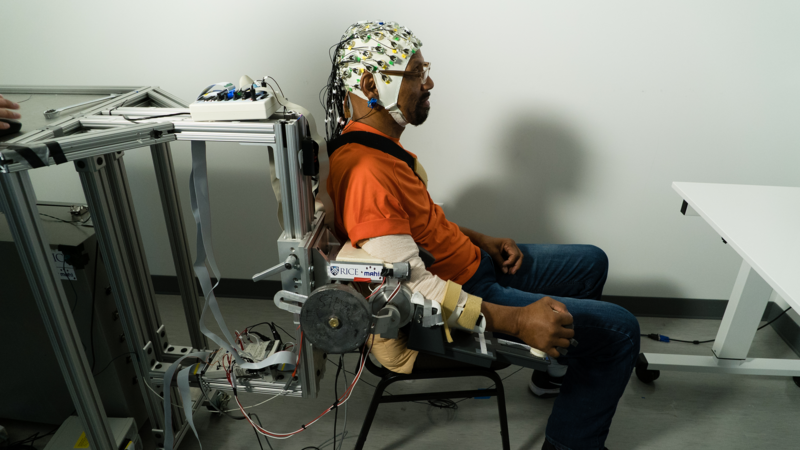 This research aims to accelerate the development, efficacy and use of robotic rehabilitation after stroke by capitalizing on the benefits of patient intent and real-time assessment of impairment. 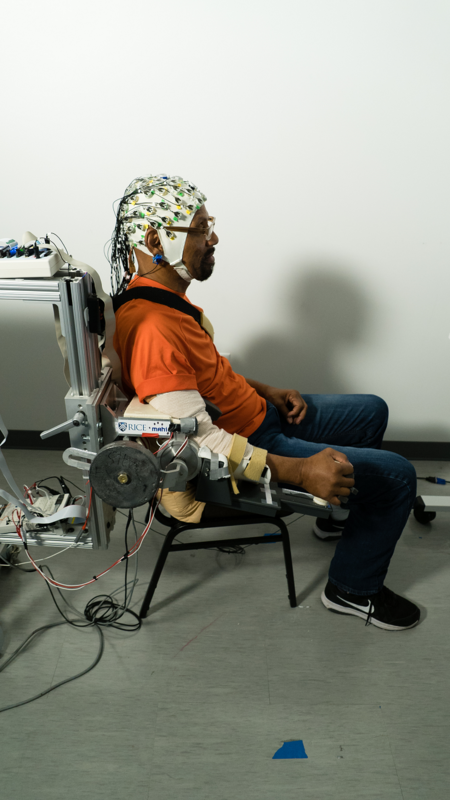 Validation will occur using the MAHI EXO-II exoskeleton robot at The Institute for Rehabilitation and Research (TIRR) in Houston, Texas. 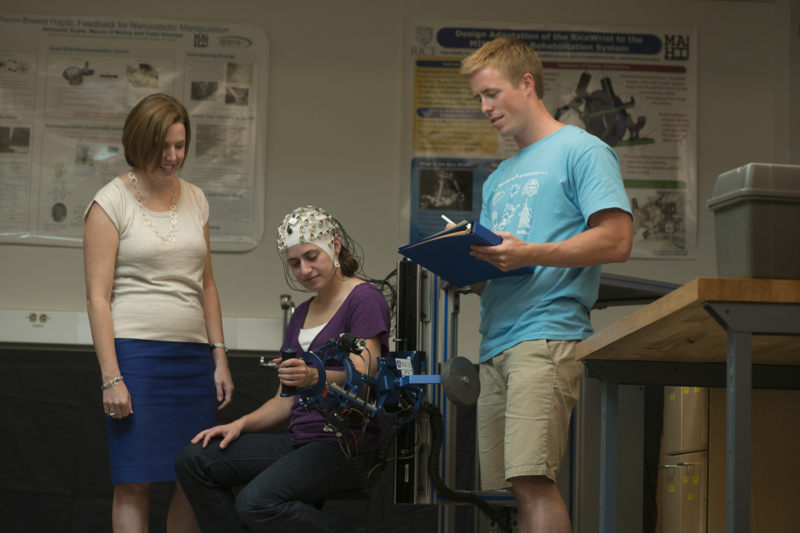 Robotic rehabilitation is an effective platform for sensorimotor training in stroke patients. 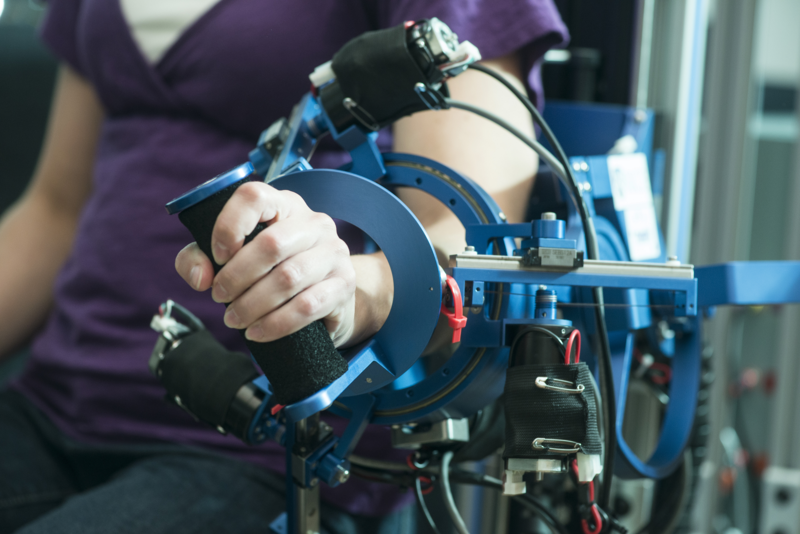 A robotic device enables accurate positioning of the impaired limb while simultaneously providing assistance & resistance forces and collection of motion data that can be used to characterize the quality of the patient's movements. 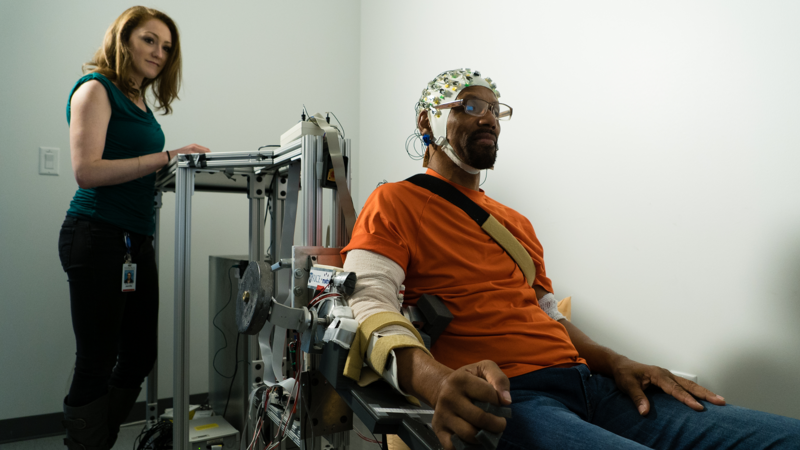 The MAHI EXO-II, a physical human-robot interface, will be augmented with a non-invasive brain-machine interface (BMI) to include the patient in the control loop, thereby making the therapy 'active' and engaging patients across a broad spectrum of impairment severity in the rehabilitation tasks. 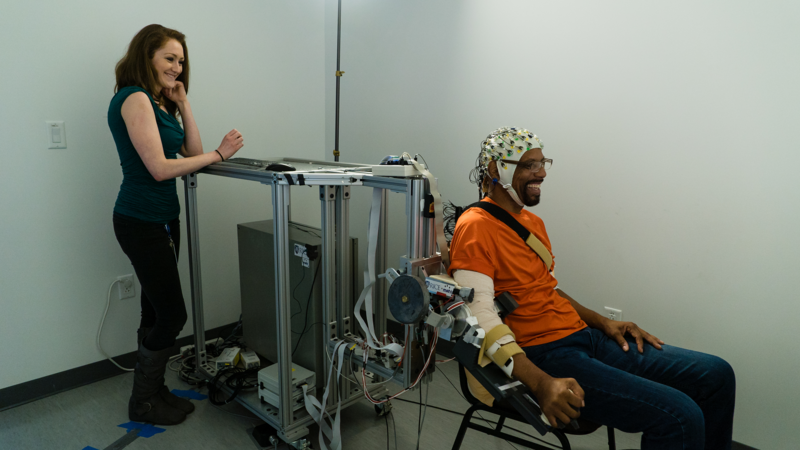 This approach capitalizes on the known benefits of patient intent in movement initiation observed in other clinical studies of robotic rehabilitation and on the beneficial effects of BMI use on cortical plasticity. 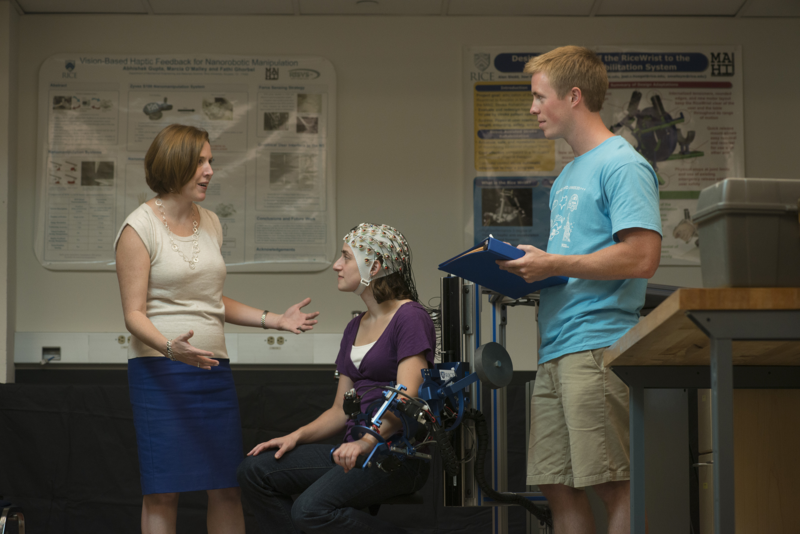 Robotic measures of motor impairment, derived from real-time data acquired from sensors on the MAHI EXO-II and from the BMI, will drive patient-specific therapy sessions adapted to the capabilities of the individual, with the robot providing assistance or challenging the participant as appropriate, in order to maximize rehabilitation outcomes. 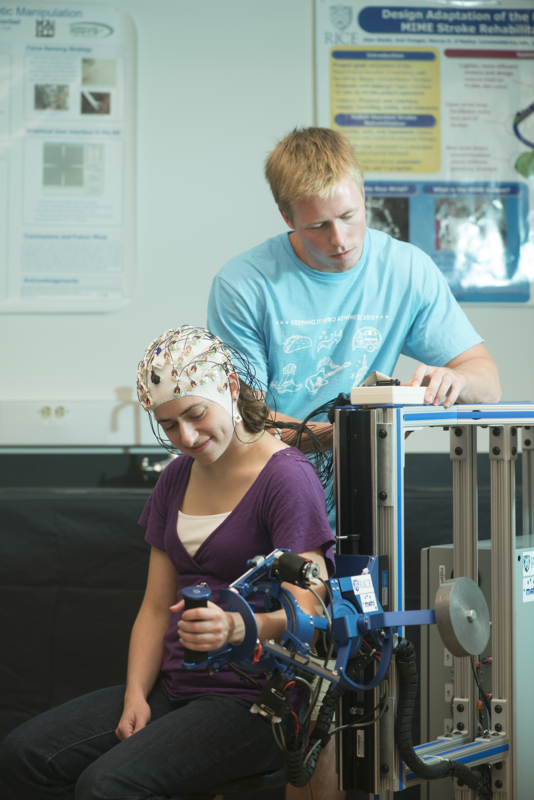 Assist-as-needed paradigms in robotic rehabilitation have been shown to be efficacious; however, such paradigms are passive and driven by performance metrics that have not been sufficiently validated and verified. 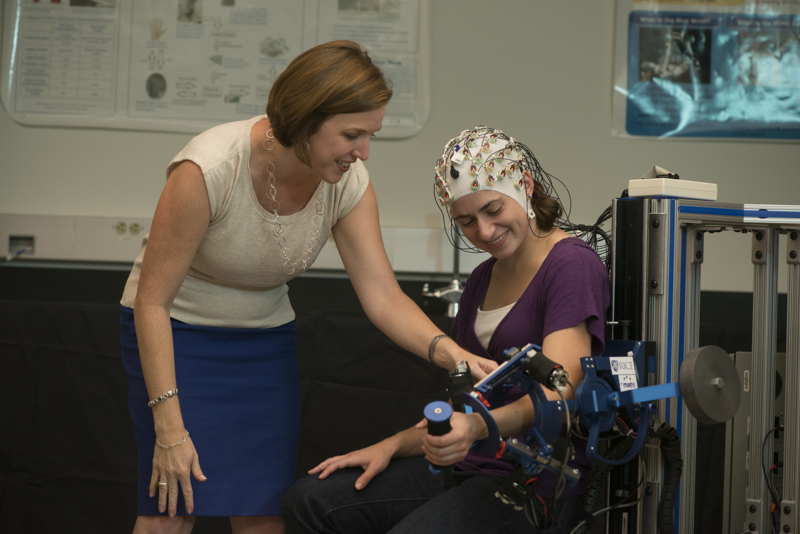 Additionally, intense practice and continual 'challenge' during therapy is known to improve rehabilitation outcomes.